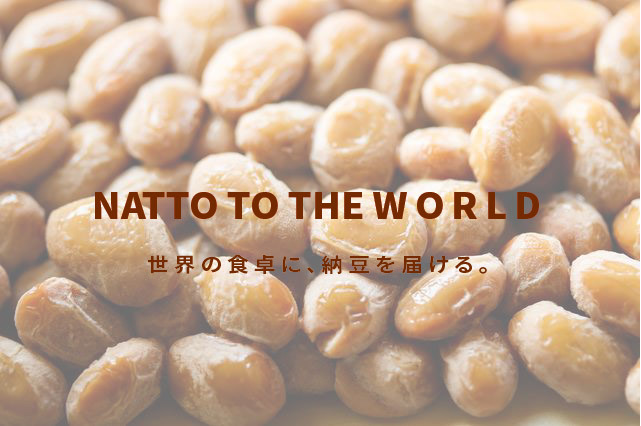 Message from the President | NATTO Co., Ltd.
Natto Co., Ltd. is a company that will continue to grow essentially in a constantly changing world. We can not choose the environment born by ourselves, most destiny is decided at the moment of birth. There is something that can not be helped by what one can overcome with effort and gut and its own power alone. However, if you have a strong will and you work with a lot of people, you can make impossible possible. “Activities to Deliver Natto to the Table of the World” that I started alone in 2014, now it has become possible to move the world with a lot of people. From this experience, is not everyone able to save the world can save the force? I came to think so. Even in the modern era of the 21st century, there are many countries in the world that have crisis health problems and environmental problems. Food aversion, water pollution, desertification, global warming …. Innovation is born because we have the question “Is it really impossible” to the impossibility of the world? I feel that making natto and Bacillus natto a wonderful future for humanity and the earth is our mission to live now. The journey of delivering natto to the world has only just begun. I hope to walk with this great adventure with this life. I absolutely do not want to give up the possibility of humanity.